World wide indoors and out, the Plexipave sports surfacing system has proven itself the leader in acryclic court surfacing technology. Plexipave is the original acrylic surface and since it’s development in the 1950s has continued to be the biggest selling surface coaring in the world. The 100% acrylic Plexipave system is a combination of texture coats and finish coats, that provides a weather resistant surface for indoor and outdooe use. A key factor behind the success of Plexipave is the constant performance the surface provides day after day. Regardless of the application, Plexipave provides consistent ball bounce and minimal deviation at all times. The millions of specially graded sub-angular silica particles embedded in the surface provide sound traction for players at all time, delivering outstanding grip. 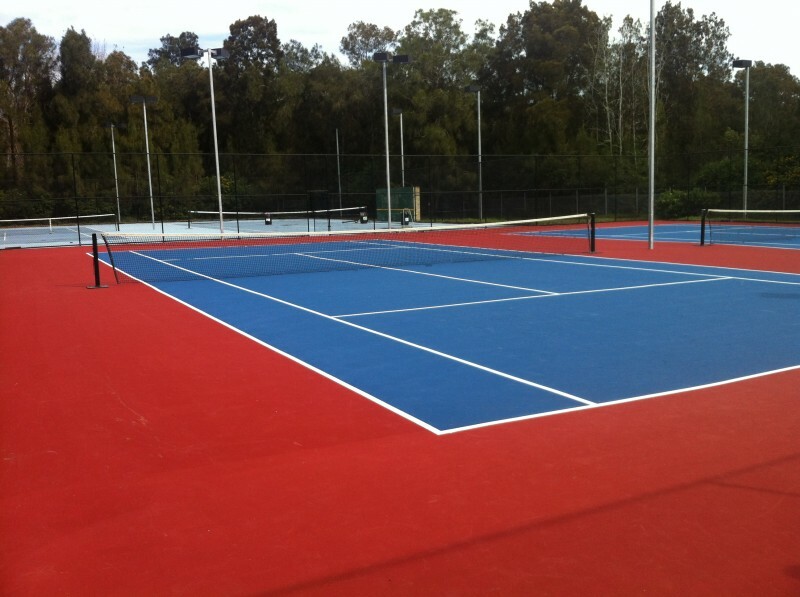 Plexipave has specialised surfaces designed for a variety of sports, including tennis, netball and a multisport system. Each one is made to meet the specific requirements of the sport it serves, and delivers the key grip, bounce and speed components required. Plexipave dries quickly after rain and is an ideal anti-glare finish. It will increase your visibility while on the court and, at the same time, lower court temperatures by 5-7 degrees. Plexipave breathes without losing it’s tenacious bond to asphalt or concrete. After withstanding years of hard play the Plexipave surface on a properly constructed court can be easily renewed without costly removal, relaying or reconstruction work. The process of resurfacing with Plexipave using the normal pedestrian access brings brand new life with a choice of new colours to existing courts. Plexipave is so tough that it was selected as the “Urban Forest” pedestrian surfacing to go around ANZ stadium before the Olympic games in 2000. The surface is still there, years and millions of spectators later as testament to the durability of the surface.